Shipping outside United States and Canada? We will ship outside the United States and Canada, but unfortunately you can't use our check out system. You can use our shopping cart, then follow the "Outside United States/Canada" link at the top of the check out page. This will provide you an itemized order sheet which needs to emailed, mailed or faxed to us to get your order processed. Air shipping and handling will be 20% to 40% of the total order with a minimum shipping charge of $30.00. The final shipping amount will be determined by the products ordered. Hard baits and lighter packages will be calculated at 20% and orders that have extreme weight (lots of soft plastics) will be closer to the 40%. Orders with oversize items (rods & storage boxes) may require additional shipping. All orders must be paid in United States currency by cashiers check, international money order, PayPal or by credit card. Exchange rates are automatically calculated on credit card orders. Duty, customs and any other import taxes are not prepaid and are the responsibility of the customer. Non-insurable orders are the customer's responsibility. 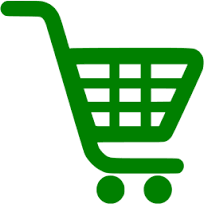 Do your normal shopping with our shopping cart, then follow the link on the first checkout page. Submit your order one of three ways.